It's still early in the morning at DLD13. The first talk of the day – under the heading 'Winner Takes All' features Dambisa Moyo and Vijay V. Vaitheeswaran. The session was originally scheduled for later in the day. But the author and CNBC contributing editor, Moyo, needs to catch a flight, so some reshuffling was necessary. 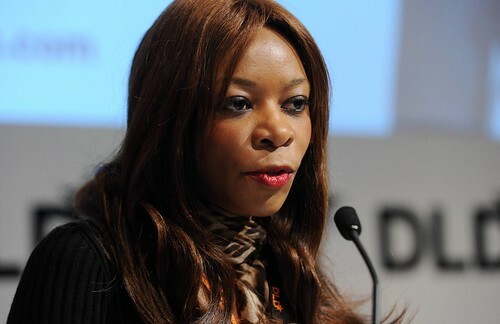 Dambisa Moyo has come to Munich to speak about her latest book's ('Winner Take All: China’s Race for Resources and What it Means for the World') topic. The situation is dire. "There are around 20 commodity wars around the world today, and I fear there will be many more in the future." Understanding the current global context of commodity scarcity is a complex undertaking. But the economist, Moyo, breaks it down as well as she can. She names three key drivers for commodity demand. The first is population growth ("by 2030 we expect there will be nine billion people on the planet"), the second is that wealth is increasing (which means more demand for meat, mobile phones etc. ), and the third is urbanisation. "I come from Africa, Zambia actually," says Moyo, raising her hand to her chest. "Population there is 13 million. People here who've been to China will know that over there [in China] that isn't even a real city." In fact, the Chinese government is apparently planning for ten cities with a 10 million population each by 2020. Having explained the demand side, Moyo turns to the problem. Which is supply. "There are several supply constraints," she says and briefly elaborates four: water, arable land, energy and minerals. "If I were here longer, I would spend much more time on energy because it is quite a big dig deal." But time is pressing on and so she turns instead to the three central elements of China's campaign. "The first of these is symbiosis." According to Moyo, China has been "very friendly in her pursuit to get resources." The second is that China can overpay for resources – "even though by China's own calculation she's really not overpaying." The third element is monopsony. China is buying up so much of particular resources (such as copper) that she is becoming the market's price setter. With that Moyo wraps up her introduction, moving from behind the lectern to sit in a chair next to The Economist's China business and finance editor, Vijay V. Vaitheeswaran. Vaitheeswaran's first question is why exactly Moyo believes looking at China's rise now is so crucial? "Two things," Moyo answers. The population dynamics we are now facing are entirely unique. "We've never seen something like this in history, and I hadn't really appreciated this until I started doing research.” Her second point is she draws from personal experience. Moyo invests in several Silicon Valley start-ups and sits on the board of a few mining and resource companies. Innovation is lacking in both, she laments. "The mining companies are still focusing on excavating!" "You have written a book that serves as a clarion call," Vaitheeswaran begins his next question. "Yet it sounds like you don’t have the faith that this will happen in time." "The thing that bothers me is," Moyo answers with slightly raised voice, "are we really going to rely on China, with a per capita wealth lower than some African countries, to solve the world’s problems?!" Giving a nod towards DLD13's audience, Vaitheeswaran points out that the world is moving towards becoming more connected and finding innovative solutions through strong networks. "But it isn't just a problem of innovation. It's a problem of policy," Moyo counters. With further prompting by Vaitheeswaran, she says she thinks politicians need to pull their socks up and have higher-level discussions. Secondly, she believes in a multilateral approach. With a roguish smile, Moyo admits: "I absolutely hate buraucracy-"
"Says a former World Banker?" "Yes, exactly!" she laughs with Vaitheeswaran. "That’s why I can say this with some confidence!" But her point is a serious one. Moyo speaks from a vast amount of experience – one could even say a vast amount of exposure. In the last ten years she has travelled to more than 50 countries. "Many countries are pivoting towards China. So we need China on board." And with that, the author of three books is off to catch another flight.